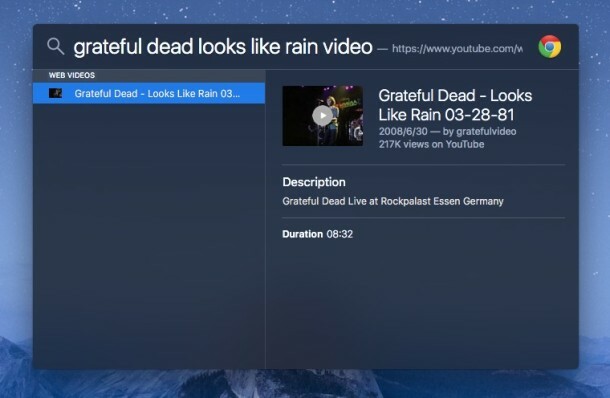 Spotlight search has long been one of the greatest features on the Mac (and iOS for that matter), and now with the latest versions of MacOS (or Mac OS X) the near instant search engine that spans Apple platforms has some new capabilities that make it even more powerful and worthwhile. 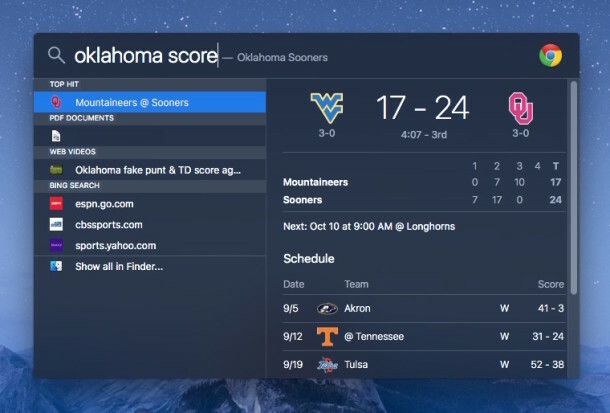 From being able to find vaguely referenced recent documents, to seeing the weather anywhere, to getting sports scores and game schedules, you’ll be sure to find Spotlight is more useful than ever before thanks to natural language search and recognition. We’ll show you five specific new types of search tricks that are possible in Mac OS X 10.11 or later. Assuming you’re on a modern version of Mac OS X hit Command+Spacebar to summon Spotlight and follow along to learn some really neat tricks on the Mac. 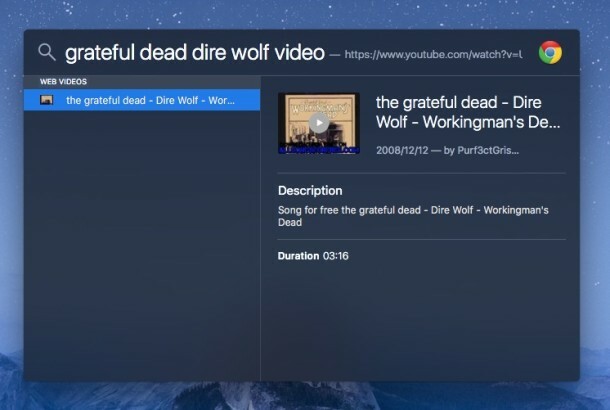 If you’re not on at least El Capitan or Sierra, you can browse through other Spotlight tips that work in other versions of Mac OS X too. You get the idea, just use natural language, and you’ll be able to find stuff you worked on, whatever it is! You’ll see current weather and a forecast, great! The more specific the name the better the result will be. If you’re looking for a specific music video, search for the full artist and song name followed by ‘video’. Again, just use natural language and provide the team names, Spotlight will find the details for you! 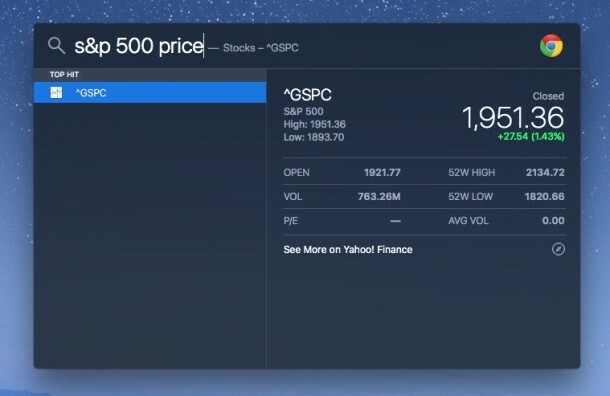 The quotes are gathered directly from Yahoo Finance. Know of any other great Spotlight tricks? We’ve covered quite a few Spotlight tips before for iOS and OS X, but if you have any particular tricks or secrets, do let us know your own Spotlight search magic in the comments! Tried getting the weather and it did do that but it all froze. Couldn’t scroll, couldn’t quit, couldn’t even Force Quit. Didn’t respond to Esc nor to clicking on the icon. Had to go to another application to get it off my screen. 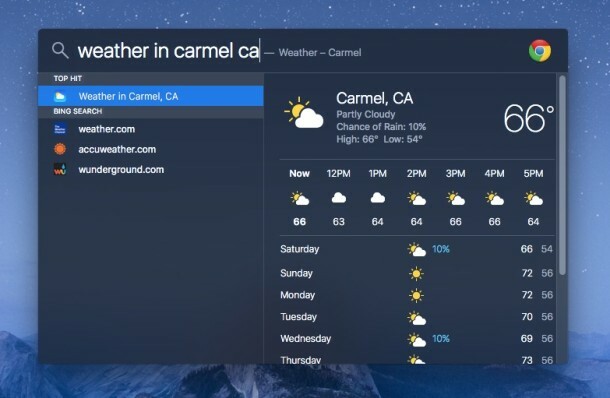 All of the cloud-based stuff like Weather reports, Sports & game schedules, Stock quotes, et cetera require that “spotlight suggestions” and “location services” be enabled. This allows Apple to spy on every Spotlight search and keep a permanent record of everything you have ever searched for on your own computer. Big brother (Apple) has integrated all of these cloud-based “features” into Spotlight to entice you to waive your privacy rights. And everything Apple has on you, the secret government has too. So be careful with this if you are a whistleblower fighting high level corruption and you live in an oppressive regime like China, Iran, or one of the “five eyes” beast nations. Remember, Apple is not your friend — this company is a sinister component of the global surveillance grid, and it sold you out a long time ago, just like Microsoft did. If you really want privacy & security, switch to Linux or BSD. But yes, it sure would be nice if someone made an open source version of OS X. Are you a moron? (the answer is yes). The government cannot access any information about what you do from Apple because of the way they encrypt your data. While I trust Apple more than other tech firms, I do NOT believe their entire spiel about encryption and that they will forever refuse to share with the Feds (or China). The day Tim Cook gets offered enough money/ “social justice horsefeathers”) he will find a way for us to lose our privacy. If you haven’t upgraded to El Capitan yet, ask yourself, “Do I want a Windows OS experience?” If your answer is, “No, I have Apple stuff because I don’t like the industrial, ugliness of slogging along on a Windows computer”, then don’t upgrade to this latest OS X migration to Windows world. If you really love the magic and elegance of Apple, reinstall Snow Leopard or Mountain Lion. Every upgrade since then has been changing Apple into a subsidiary of Microsoft. None of what you said is true. OS X 10.11 El Capitan is Apple’s best OS by far. Performance on my iMac was great with Yosemite. 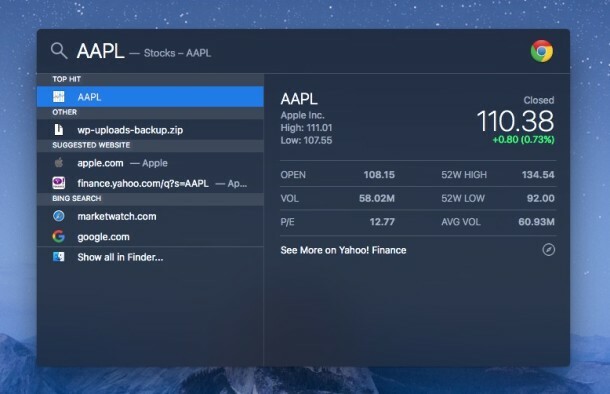 But El Capitan make everything smoother and fast, with new and interesting features. I noticed that you have a problem with the Mac that you used to create your screenshots. Apparently, your default web browser is Chrome. I can show you how to switch that back to Safari, if you would like. I agree with DCJ001, since Yosemite and El Capitan my memory usage has been cut in half! I’m not sure if people notice that but imho that alone is the best part of OSX. I agree I notice the same thing, kernel_task takes up about 1.8GB of RAM in El Capitan, it was regularly taking up 5GB of RAM in the prior release. That is a huge difference. I have 16GB of RAM and would swap constantly in Yosemite, much less now in El Capitan. I agree, OS X El Capitan is worlds better than Yosemite, Yosemite was (is) a mess. OS X El Capitan is genuinely better. OS X Mavericks is good, so is Snow Leopard, OS X Snow Leopard is probably the most reliable release of software Apple has ever built. Bertrand Serlet is missed, he was clearly skilled at performance, stability, optimization. Anyway. Spotlight is a good feature, it’s improving, but OS X in general is kind of being iOS-ified, which is not so fun for advanced users. Notification Center in particular, it’s so useless on a desktop, it’s basically Nagging Center. LOL! Need to remember that one! I agree completely with Phil Seymour. The turn started with the Intel chips and there has been a slow and steady slide away from Apple elegance to Windows horridness. Anyone who has used Apple machines and software since the 80s will know that this is true. It’s a very very sad thing indeed. I have had to turn off Spotlight searching the internet because I refuse to be pushed into Bing (another Windows direction?). I feel Spotlight should simply use the set selected search engine in my preferences. Any thoughts about the resources being consumed to make this work? Is there no longer any way to sort the spotlight results? Before you could arrange them in the preferred order in system preferences, this doesn’t seem to work any more, am I missing something or has this been removed? Yeah! I’ve noticed the same thing. It’s a shame there’s no way to personally order them. I’ve been wondering too. Hope they’ll bring sorting of the search results back. Every search of the above examples I tried to do resulted in a pdf file on my MBP that has NOTHING to do with the search. E.g., “Weather in Amsterdam” opened the book “Peter’s Principle”. Also, Spotlight still looks like it always looked: not the blue background and white letters. You have to remember that Apple put features in their new OS that only work if you live in the USA, maybe this is another one. I live in the Netherlands to and Spotlight shows everything to me. You have to select at least something to get results with Spotlight. Select at least: Bing Web Searches, Definition, Other and Spotlight Suggestions and your good to go. Weather etc. is working correctly here in Germany, too. I even get the Bundesliga results (national soccer league). Spotlight must be enabled, and Location Services and Spotlight Bing results must be enabled as well in System preferences. The blue background and white letters is because the author is using dark mode in OS X. Some countries probably don’t have the Spotlight features yet, which is typical of Apple to introduce in major markets first (USA, UK, Australia, Germany, Japan, etc) then roll out to the rest a bit later. Just upgraded to el Cap’ for this MacBook Pro 13″ and it’s so cool while navigating web using spotlight. It’s fast and hassle-free, and might upgrade my iMac sooner than i thought so. I usually used Firefox but Safari now is very stable and I might just stay on it too. No global search for me either! Only local files. It’s a shame that killer feature that i very like about el capitan is not worked at all! Still running Snow Leopard on a SSD. Works great! Long ago I realized “upgrading” an OS opens an enormous risk for a lot of unforeseen issues. Even if the OS works well there is the inevitable surprise obsolescence of handy apps that or even major apps that I rely on. Even migrating the content to a SSD was a pain, such as Time Machine hassles and this was from a bit copy. Just expect to spend a lot more time than the book says for a migration. RE: Copying ALL Data From Your (Old?) drive to a new SSD, FOR ME, was a piece of cake. Mind you, I had an External Device to plug the external SSD into. (And OSX saw it.) They’re VERY inexpensive – ~ $29 and comes in handy if you’re in the IT field. I plugged it in to the USB port, placed my SSD into one of the slots, and told it to copy my Yosemite (I think version) of OSX to the new SSD. Worked like a charm. There are other (MANY) other suggestions how to simply copy the image from the drive INSIDE your Mac to your new SSD. _AFTERWARDS_ though, mind you to expand the partition (If your SSD is larger than what you have installed) you have to boot into that partition manager. (CMD+R) if I’m not mistaken. Simply drag the bar to expand the partition…for me, worked like a charm! In South Africa, Spotlight does not work according to the example shown above. Also would like to sort the search results. i think I use spotlight………. ONCE a year? OK, maybe twice. How about working on the sidebar in Safari so it seems like more than a afterthought. Putting bookmarks on the side instead of the top would be a huge improvement for a small laptop. Funny, non of these things work at all, even the command + spacebar command . . . Are you guys in the business of making stuff up just to annoy people? 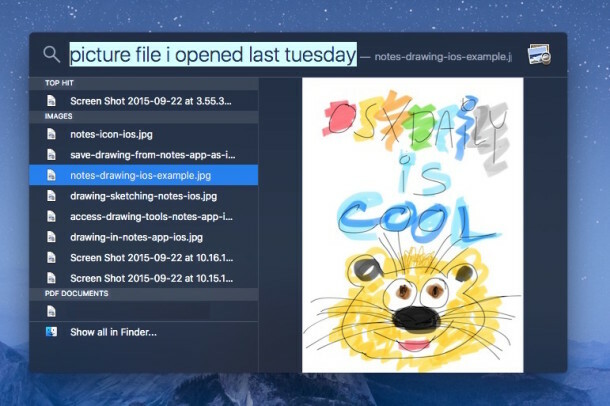 I miss the ability to order what types of files Spotlight should return its results in.. Has that been removed altogether or can it perhaps be tweaked by using the command line? doesn’t work for me. my settings are for canada. works on my canadian iPhone though. Not working properly spotlight for me either ( Im in Poland). Only local files searches…. please help me , i use el Capitan and my spotlight only search in dictionary , how change this ? I’ve used Spotlight for years as a quick way to launch programs by typing one to three letters of the app name. 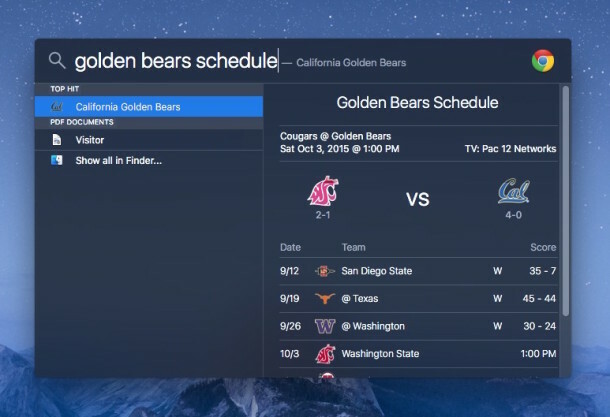 El Capitan has essentially ruined this feature. Now, rather than relevant applications listing at the top I see “Top Hits”. Those include obscure applications that I’ve never launched and Contacts cards. Below that, in the Applications section, is a single application, not including the one that I want. Spotlight used to adapt based on the application I selected from the list that appeared after typing a letter or two. Now I keep getting the same obscure options. Apple has no respect for maintaining the user experience over time. Every time they dream up some new shiny object they give no consideration to not breaking what their user base has come to rely on. Time and time again, in iOS and OSX, interface changes disrupt the workflow and user experience to bring us someone’s idea of a better way. May be all these nifty “Siri” commands in Spotlight but the fundamental ability to prioritize or sort the results in a user defined manner is still missing (removed). I get thousands of emails a month. I really don’t want them at the top of the search results when I am typing to find an alias. Still, incredibly annoying not being able to sort. 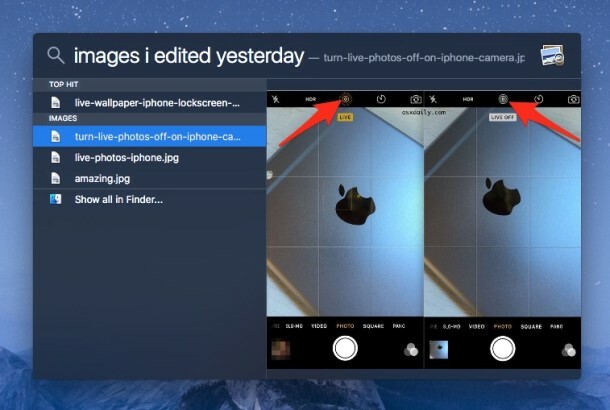 But what is more annoying is that you can be looking at a file in a folder with a name and the search you are typing is typing that unique name and yet Spotlight can’t find it. You really can’t trust spotlight results in system to show you what is really there. What it shows you is accurate but what it fails to find is alarming.